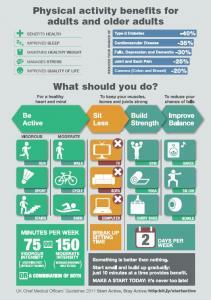 Why is physical activity important for adults? Being physically active has countless benefits to both your body and your mind. The guidelines for the amount of physical activity adults and older adults should be doing is 75 minutes per week of vigorous intensity exercise or 150 minutes of moderate intensity exercise. 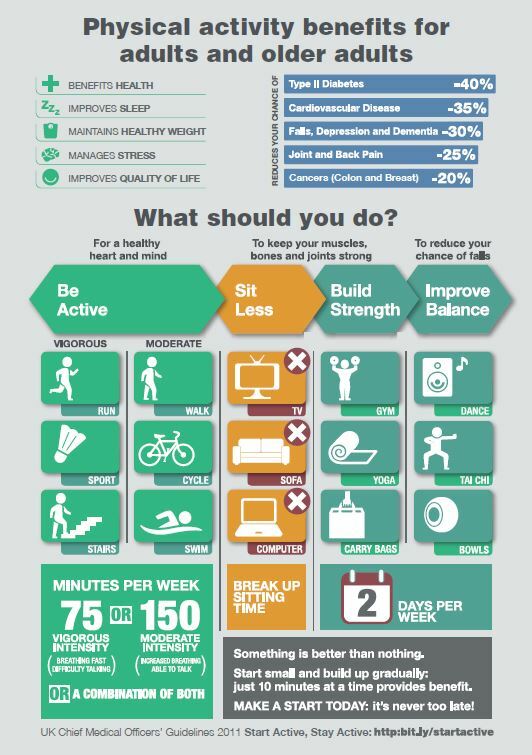 Please look at the activities below to see what is on offer within Charnwood to help you stay physically active. We offer a full spectrum of activities open to all adults, including sessions focusing on your health and well-being, keeping in shape or regaining your motor skills.